Product information "Marshall Tufflex RWKD Universal Plus to Square Adapter - Left, White"
Sleek in appearance and broadly compatible! 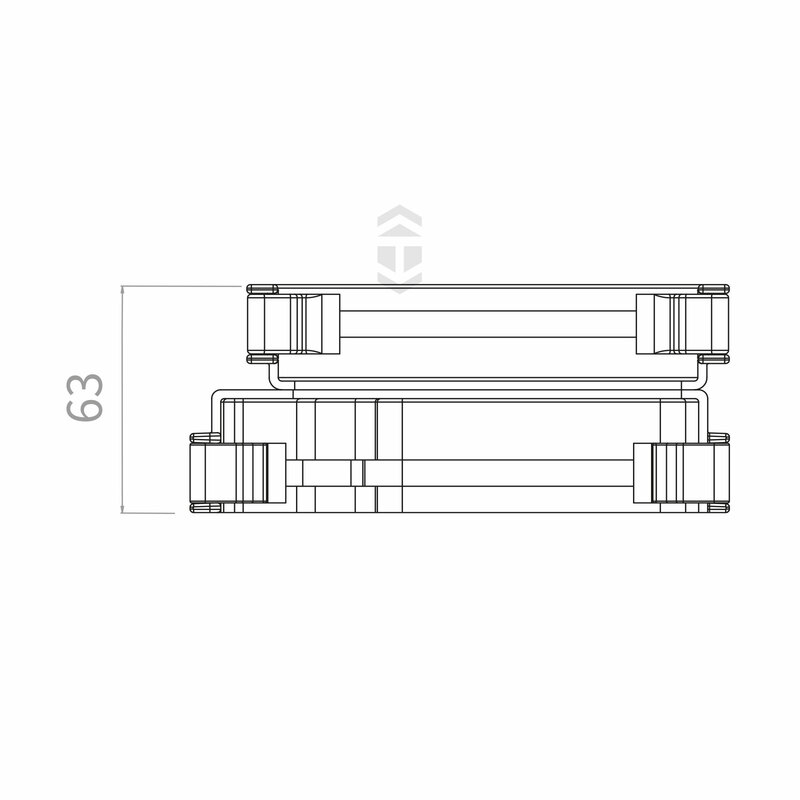 Inline connector between Ogee and half round gutter profile. Part of Marshall Tufflex Universal Plus system. Part of the Marshall Tufflex Squareline Gutter System, a stylish, contemporary guttering suitable for all residential building applications, which is guaranteed for durability and colour-fastness. This square-line system has an easy-clip design with rounded ends for quick and simple installation. The 114mm wide and 59mm deep rainwater gutter is available in 2m and 4m lengths, with a host of brackets, adapters and accessories to complete the job. There is also a range of complimentary downpipe and and components. 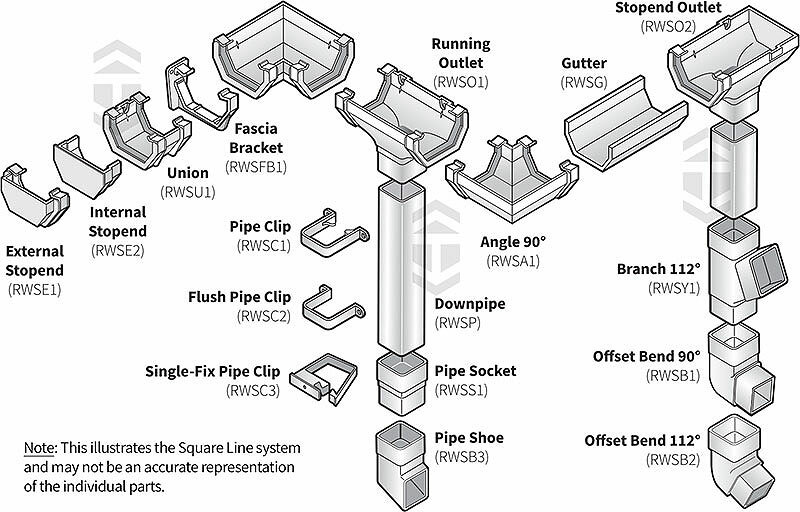 The following provides information about this square line gutter system. Fire Resistance Materials used are self extinguishing. 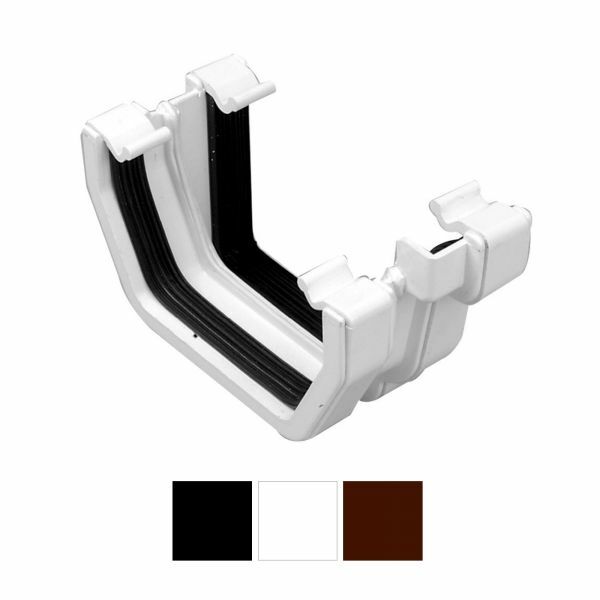 * Colour fastness of White gutter parts is guaranteed for 10 years in natural weathering. BS EN 12056-3:2000 states that gutters should be nominally level (with a gradient of between 1mm/m and 3mm/m where practicable). This standard also states that "where snow is likely to lie on roofs, the front edge of the gutter should not be higher than the projected line of the roof, unless snow guards or other precautions are used". 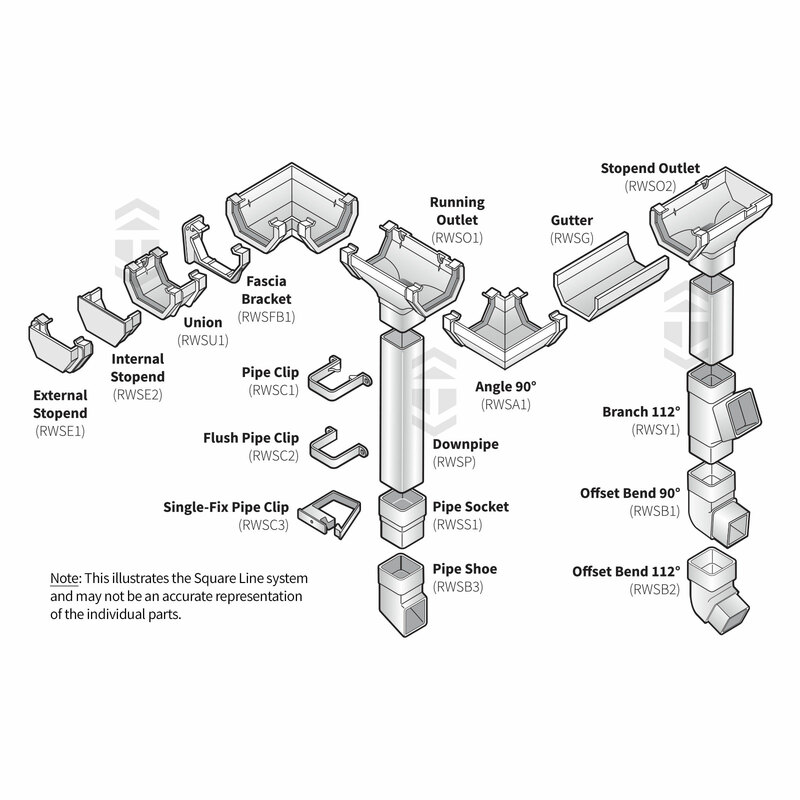 It is most important to consider the position and number of outlets as well as the size of gutter. Related links to "Marshall Tufflex RWKD Universal Plus to Square Adapter - Left, White"
Customer review for "Marshall Tufflex RWKD Universal Plus to Square Adapter - Left, White"